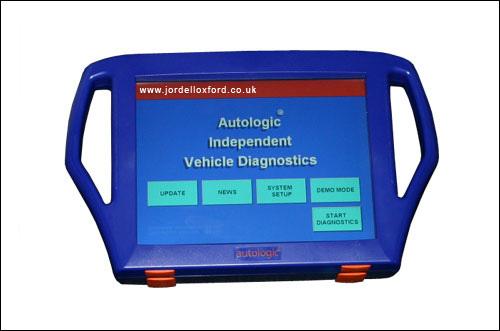 The Autologic Solution is a holistic approach to vehicle diagnostics for independent garages. Dealer-level software for eight premium vehicle manufacturers is combined with unrivalled technical support from Master Technicians and specialist software engineers. The Autologic Solution gives independent garages the confidence to undertake any service and repair work required and enables independent garages to specialise without having to involve the dealer or call in outside help. Providing complete coverage of all the vehicle systems, unique functions of Autologic include coding and flash programming. These functions together with other features such as retrofits, conversions and fitment of aftermarket products, surpass the functionality of other diagnostic tools as well as some dealer tool features. Information is displayed on a large touch-sensitive screen through a simple menu structure, supported by extensive help screens. Autologic software packages are available independently or as multiple packages run on the sameAutologic hardware base unit.